Personal Protection Tip: An often overlooked safety tip is to pay attention as to whom we place our trust to represent us. The people that we elect at all levels of government have a grave responsibility of both ensuring that our communities are safe AND not obstructing our ability to protect ourselves. For example, do not vote for a candidate who will gut public safety while raising your taxes. Additionally, do not vote for a candidate who does not respect our God-given and Constitutionally recognized rights as citizens. Yes, we should not blindly vote for a candidate just because our Pastor told us to do so. Likewise, we should not vote for a person just because of his skin color. Locally, the litmus test with respect to safety is the candidate's recognition of the need to properly staff EMS, the Fire Dept., and the Police Department. Furthermore, candidates should not be throwing up obstructions for your inherent right to defend your family and your home. 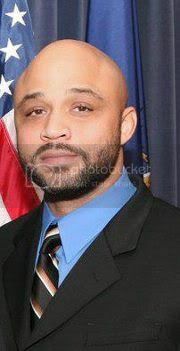 Pictured in this tip is Michigan State Senator Morris W. Hood III who cast the lone vote AGAINST MI SB 59 which would expand the places where CPL-holders can legally carry a concealed firearm.